People First New Zealand is a self advocacy organisation that is led and directed by people with learning disability. This means that when People First speaks out, talks to Government officials, does press releases and speaks at conferences or in public it is the members who lead this. People First now has a large pool of members who have experience with speaking up about many issues. 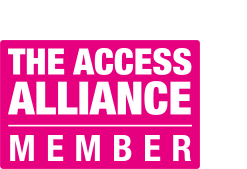 There are a number of members on advisory groups and councils, who represent People First and the voices of people with learning disability in New Zealand. People First has a very experienced team of Meeting Assistants who work alongside the members to ensure they are informed, have information in ways they can understand and know peoples’ unique support needs. support members to express these views at meetings or working groups. This individualised support helps members to feel confident in their own abilities, equal at a table of “experts” and means that others can see the value of having people with learning disability sitting at the table with them. People First members are experts of their own experience. “Earlier this year I was a presenter at the New Zealand Disability Support Network conference at Te Papa in Wellington. During the conference I attended the plenary presentation by People First members…I found this to be one of the most professional, well organised and meaningful presentations at the conference. I particularly appreciated the interweaving of a human rights analysis of disability with personal experiences. This combined approach had an enormous impact which many people spoke about after the conference. The questionnaire given to delegates, in which questions were about their organisations responsiveness to people with learning disabilities was powerful. This has been a useful resource and is an excellent reminder for all people working to uphold and promote learning disabled people’s human rights.